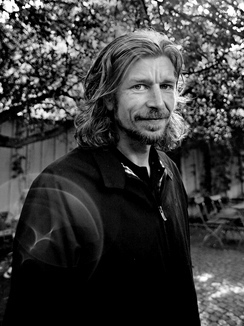 Norwegian author Karl Ove Knausgård, who became a major celebrity after his publication of an unusually revealing series of books about his own life, won’t be appearing at an upcoming Norwegian-American literature festival in Oslo this week after all. Ari Behn, husband of Princess Martha Louise, will still be among those on the program, though. Frode Saugestad of the festival said Knausgård’s cancellation was unfortunate, but that he wasn’t the main attraction at the festival. Knausgård, who wrote the series of books Min Kamp (My Struggle), has been in the midst of promotional trips and launchings of various works and had told Dagsavisen that he’d continue the program until Christmas. Then he planned to turn down all appearances next year in order to have time to write. The second volume of the Min kamp series was recently published in English and has received good reviews in the British and US media. Oktober is also launching a collection of his essays entitled Sjelens Amerika, and Knausgård is working on a film script based on his novel Ute av verden. The festival aims to connect Norwegian and American authors, critics and readers. Other participants will include Lydia Davies, winner of the Man-Booker prize, Bjarte Breiteig and Ari Behn. The latter two were due to take part in a conversation with Cressida Leyshon, literature editor for The New Yorker, about the role of the novel in American and Norwegian literature.